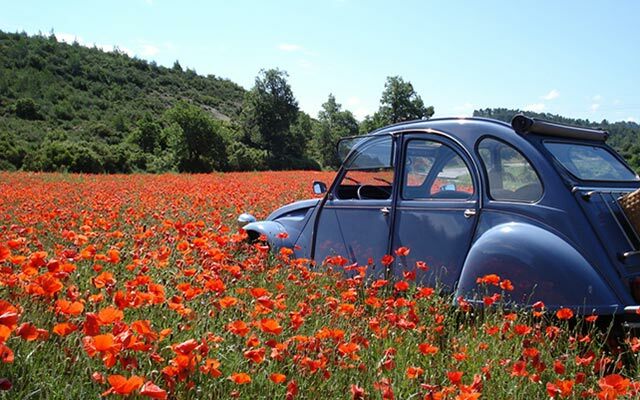 Get lost in the dazzling beauty of the French Riviera and the Provence. 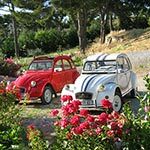 Drive your Beetle or 2CV along the splendid coastal roads of Côte d’Azur and Provence and relax in beautiful port towns and cities of the French Riviera. 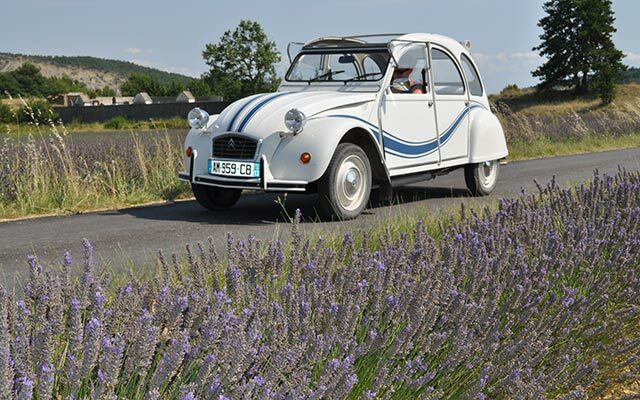 Breathe in the Mediterranean air, drive amidst stunning landscapes of the mountains and the sea, explore the famous Calanques, taste the fresh seafood and wines of south France along the harbour, enjoy a romantic picnic by the sea – enjoy seven days of escape and relaxation! You arrive in Lafare in Vaucluse and meet our expert local partner, Mark and his team. 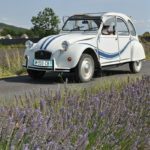 After picking up your vintage car (VW Beetle or Citroën 2CV), your equipment and road book, you leave straightaway for the first stage of your road trip in French Riviera. After driving for about 80 kilometres, you arrive in Cassis, a lovely fishing port nestled between the famous Calanques and the Cap Canaille. Enjoy a relaxed evening in this picturesque town and try the seafood and the white and red wines here. 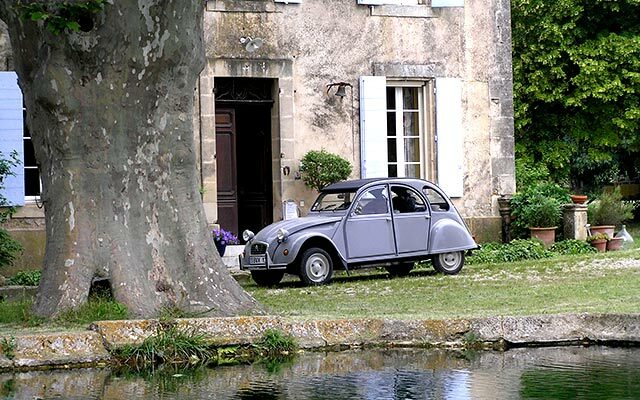 You stay in a charming guesthouse (Maison d’hôte) a little outside of town. Today is dedicated to exploring Cassis and its surrounding areas. 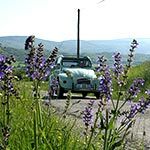 On board your vintage car (Beetle or 2CV), you take the small coastal roads to the beautiful and unspoilt coves. Explore Calanque d’En-vau, the most dramatic and most famous of the Calanques with its stark white cliffs and breathtaking drop, and Cap Canaille, the highest sea cliff of France. Enjoy a picnic on the beach amidst breathtaking and unspoilt landscapes. In the evening, you return to your guesthouse in Cassis. 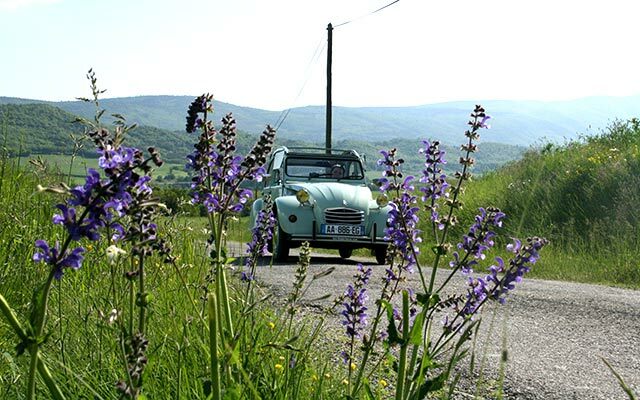 Today, take your vintage car along a beautiful route to Bormes-les-Mimosas. 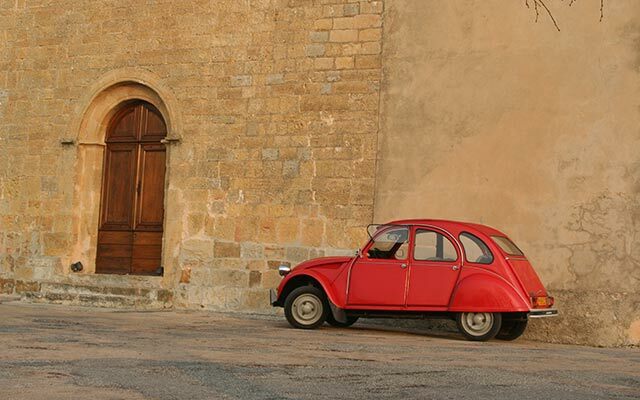 After driving between the mountains and the sea for about an hour and taking the road along the magnificent Mediterranean coast, you arrive in Bormes. This village is one of the most beautiful villages of the Mediterranean coast. With its Mediterranean microclimate, Bormes is home to more than 700 species of flowers, especially tropical flowers like Bougainville which adorn the walls of its medieval houses. After dinner in a typical restaurant in the village, you retire for the night in a quaint guesthouse (Maison d’hôte). 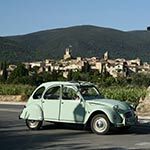 You explore Bormes and nearby areas today in your vintage car (Beetle or 2CV), especially Saint-Tropez. You take a sublime route along the Mediterranean coast. Take your time to stop at the beaches and be intoxicated by the smells of pine, lavender and the sea breeze. In Saint Tropez, visit the citadel and the port, sip pastis by the sea and experience the glamour and glitz of this internationally known city. In the evening, return to Bormes where you stay overnight. 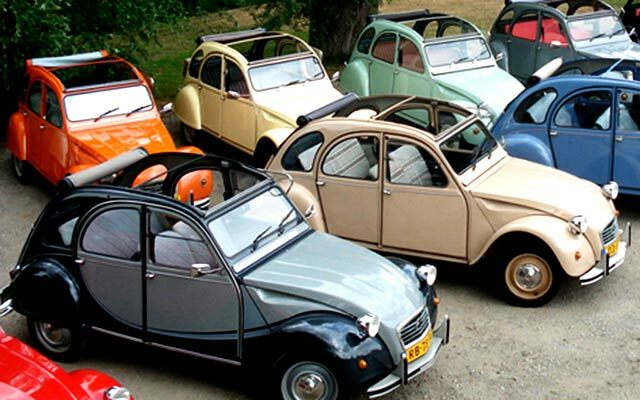 Today, you take your vintage car to the beautiful Le Beausset. 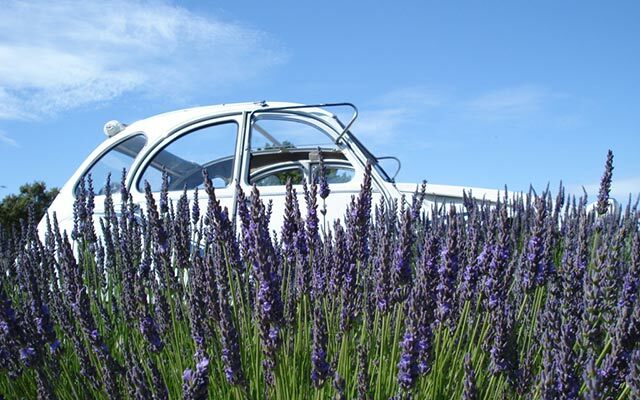 After less than an hour’s drive along picturesque coastal roads, you arrive in Le Beausset. 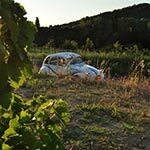 You will have all the time to explore the region, enjoy a picnic on the beach and a leisurely walk in the vineyards. You stay overnight in a charming guesthouse (Maison d’hôte). On the agenda today: relax! Take your time to explore the lovely city of Le Beausset and nearby areas. Go for a stroll in the city, visit the local markets for some fresh food, and enjoy a romantic picnic by the sea. 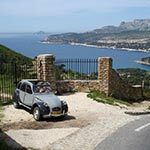 The city of Le Beausset offers splendid views with the Sainte Baume mountains in the background and the gulf of La Ciotat that leads to the sea. Stop by the calanques and go for a walk in the thick groves. 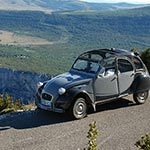 After a relaxing trip with your 2CV or the Beetle, on the last day of your trip to French Riviera, you drive back to Lafare to meet Mark’s team and return the vehicle. 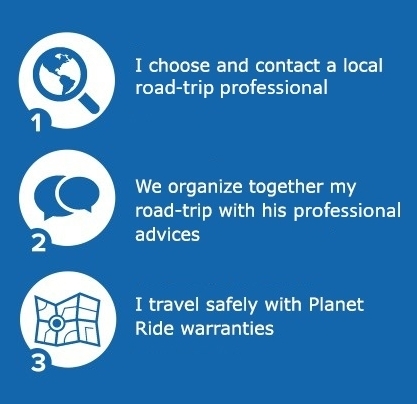 For this trip, your vehicle is: a Volkswagen Beetle or a Citroën 2CV. 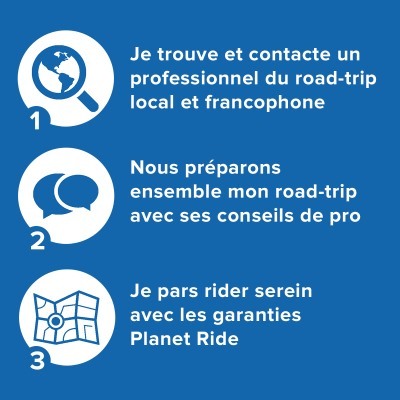 Price for this road trip starts at 699€ for each rider .